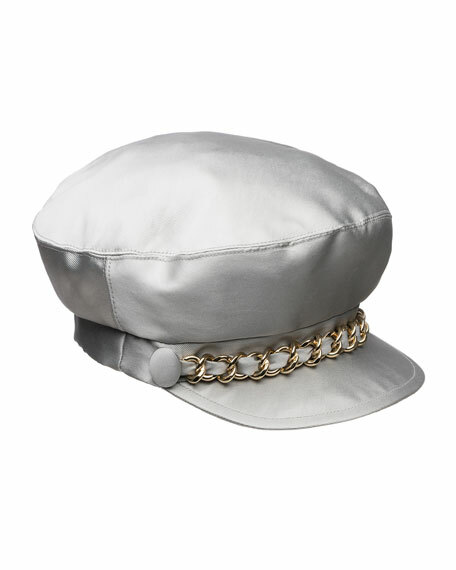 Eugenia Kim "Marina" newsboy hat in satin. 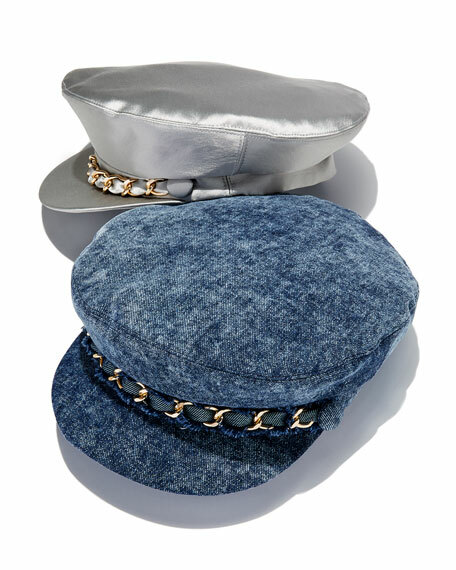 Tonal curb chain through front with buttoned ends. For in-store inquiries, use sku #2511126.